Great Scott! You missed it this entire time. Of course everyone remembers the near-perfect film Back to the Future. But did you know the classic 1985 film has one of the best Easter eggs ever? 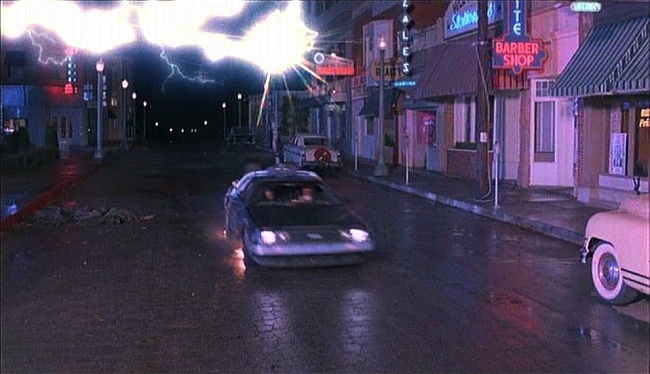 Near the beginning of the film, Marty is woken up by a phone call from Doc Brown, who wants to meet him at the mall to film an experiment (which is of course the time machine). The mall that Marty meets Doc at is named Twin Pines Mall. Of course, the mall is also the location where Marty time travels back to 1955 from, after Doc Brown is killed by Libyan terrorists. 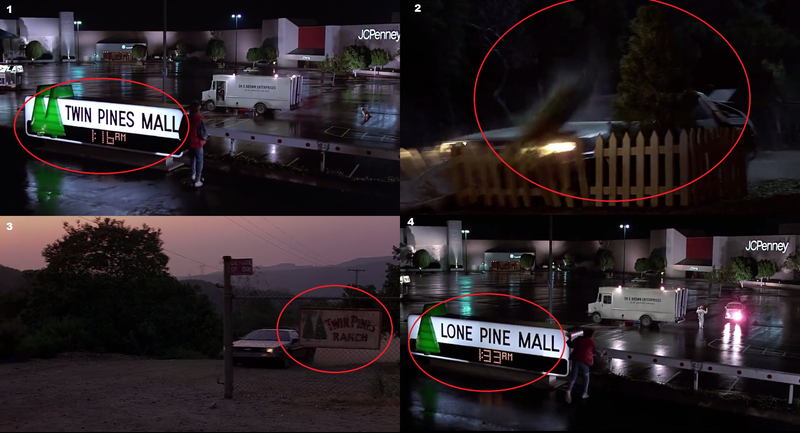 In 1955, the location where Twin Pines Mall would be is a ranch owned by a man named Mr. Peabody, who happens to mistake Marty and the DeLorean time machine for a Martian and a UFO. As Marty flees Mr. Peabody's ranch — so that he wouldn't be killed — he happens to run over one of two pines that sit near the Peabodys' house. The ranch happened to be named after those two pines: Twin Pines Ranch. While in 1955, Marty is told by Doc that any actions he takes will have serious consequences and could potentially change the future. When Marty eventually goes back to 1985, he sets the time machine back a few minutes earlier, to give him time to get to the mall and try to stop Doc from being killed. But, Marty doesn't go back to the same mall. In fact, there was a big clue in front of him that he had already altered the future. The mall was now called Lone Pine Mall. Yup, Marty and us viewers got an early clue that he had changed the future.